All are invited to join the Wildcat Club and Arizona Swimming & Diving on Saturday, February 9th at Hillenbrand Aquatic Center as we officially dedicate the new facility. Gates open at 10:00am, followed by the Facility Dedication ceremony and Senior Day recognition at 11:30am and the Arizona vs. ASU Swim & Dive Meet at noon. Parking is available for a nominal fee in South Stadium Garage or 6th Street Garage. To RSVP for the Hillenbrand Aquatics Center Facility Dedication, please click here. We would like to thank all Wildcat Club members for their support! Capital campaign projects such as the Hillenbrand Aquatic Center renovation wouldn't be possible without you To learn more about current capital campaign projects, click here. 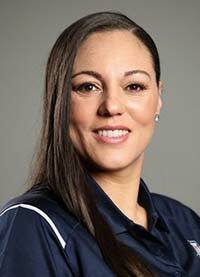 Can you talk about your experience as a student-athlete at Arizona? My experience as a student athlete here was amazing. There are so many things I learned—about being a Wildcat, being a leader, that anything is possible and you can accomplish whatever you set your mind to, that you can dream big. Sometimes you're in uncomfortable situations and I learned that there's a reason why you're uncomfortable…you're growing! For example, I used to hate public speaking. When I came to Arizona, our team had to go out and do things in the community and I would say “I don't want to be the one to speak!” But eventually, I was used to it and became much better at it. Rocky LaRose developed the CATS Life Skills program and I think it's the best program in the country for holistic development, so on and off the court. Learning how to save money, how to act and dress professionally…it all helped me to grow. Not until the end of my professional career. When I was a professional player I remember I was in Israel and Joan Bonvicini was the coach here and she asked if I was interested and I said “Heck no!” I was 25 or 25, playing basketball, traveling the world, enjoying myself, so I didn't even really consider it. At the end of my professional career when I was making the transition and trying to figure out if I wanted to do broadcasting, coaching, or something else, I was evaluating my strengths, asking myself what I'm good at. I asked myself what gave me a fire in my belly and the answer was mentoring people, specifically young women. I asked myself what I loved….I love basketball. I asked myself what has had the most impact on my life? The answer was basketball. So then it was easy…I decided to try coaching! I think it's so important to have a job where you don't feel like you are working and you can influence people and I found that in coaching. If you weren't a coach, what career would you have pursued? I probably would have done broadcasting, maybe with the Pac-12 Network. I would still be doing camps and a lot of foundation work. I think I would have gone back to school for my MBA. Can you talk about the season? The team is 14-6 right now and has been very exciting to watch. It's been a fun year. Winning is fun, losing is not (laughs). I think the most important thing for me is culture. This year I feel our team culture is really moving in the right direction. We're not ready to win a championship yet, but we are competing and surprising people. This team is full of good kids with good hearts and they are so motivated on and off the court. We've really upped our community service and GPAs, and those things are very important to me. My job is to put a more complete product together and I think we are doing that…we are exposing our players to different things and that's a big part of why I love this job. Basketball provides a lot of opportunity for experiences, like traveling internationally, that players may not otherwise have. What's been your favorite memory so far as a coach? Probably my first game back here at Arizona. There were a lot of nerves and emotion, being back in McKale where it all began for me. It was pretty special. Second to that would probably be my first win as a coach. What does the Wildcat Way mean to you? It means you represent the block A and you own it. You have pride in it. You are doing the right things, the right way. It means you can do anything you set your mind to…there's never a “can't,” only “can.” It's a confidence and a mentality. The Wildcat Way is a large part of why I came back. There's something to be said for the longevity of the coaches like Candrea, Rubio and Harvey. There's something to be said for all the student-athletes who come back to Arizona. What kind of impact do donors have? Donors have an immense impact. I mentioned overseas travel earlier—that wouldn't be possible without donor support. Foreign tours are so beneficial to the team and are also important for recruiting. Our locker rooms, the weight room…all of these facilities wouldn't be what they are without donors. Facilities sometimes can be the difference between getting a top recruit or not. We wouldn't be where we are without donor support. 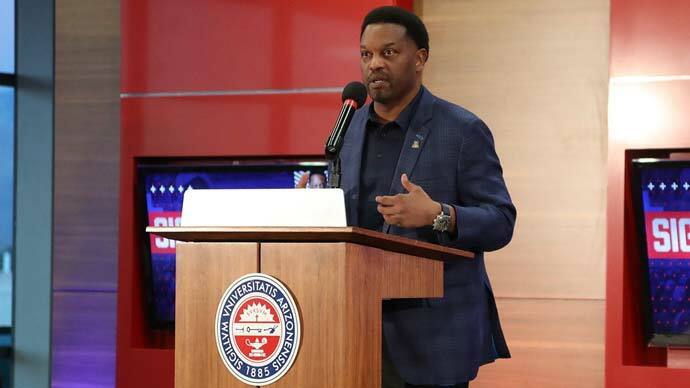 On Wednesday, February 6, Arizona Athletics will host a Commitment Day Celebration with Coach Kevin Sumlin and his coaching staff. All 2018-19 season ticket holders and Wildcat Club members are invited to attend. You, too, will have the opportunity to commit to the 2019 season by renewing or purchasing Football season tickets on Feb. 6. If you renew or purchase during the event, you will receive an exclusive game day experience at Arizona Stadium for the season opener against NAU on September 7! The Commitment Day Celebration will take place in the Sands Club at the Lowell Stevens Football Facility, and will go from 6:00-8:00pm. Tickets are $5/ea if purchased in advance (by 5:00pm on Feb. 5) or $10/ea at the door. Ticket price includes light hors d'oeuvres and two drink tickets. Parking is available in the Cherry Avenue Garage for a nominal fee and free parking is available in surrounding surface lots after 5:00pm. To RSVP, click here. We hope to see you Feb. 6! 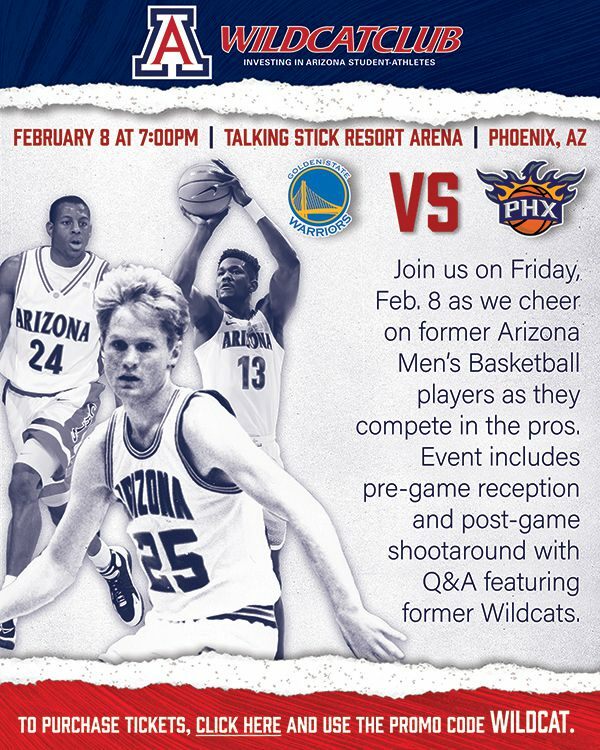 We have two more Wildcat Club Appreciation Nights on the books! 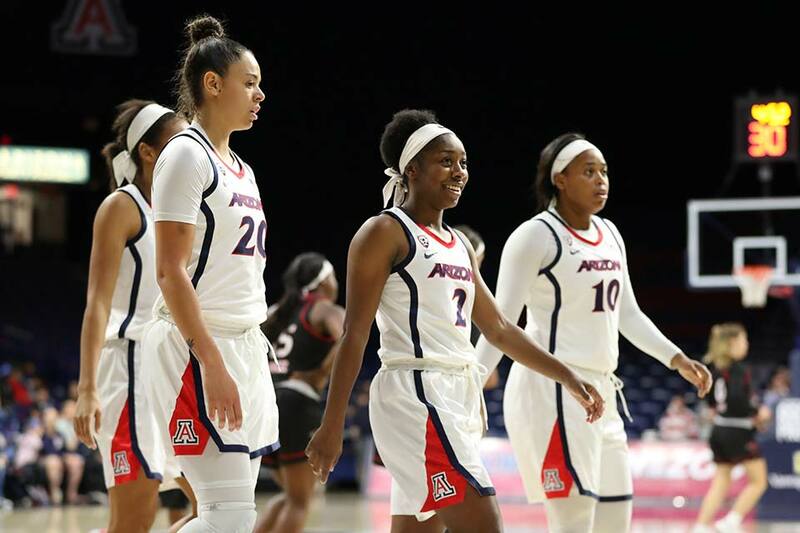 Wildcat Club members will be invited to redeem two complimentary tickets to the March 1 Women's Basketball game versus Oregon and the May 11 Baseball game vs USC. Be on the lookout for emails coming soon with instructions on how to claim your complimentary tickets! Football and Men's Basketball season ticket holders at the Coaches level ($1,000) and above receive complimentary parking in a pre-determined location for home games. Brand new this year, Softball season ticket holders at the Golden level ($10,000) and above will receive complimentary parking for home games. With renewal season closely approaching, be sure to keep these benefits in mind when renewing. If you would like to learn more about parking benefits, please click here. To learn more about Wildcat Club benefit levels, click here.